Doing business in Washington and the surrounding area for over 35 years. Proudly serving all of: Franklin, Gasconade, Warren, St Charles, Jefferson, Montgomery, and Crawford counties. Parts of: St Louis, Lincoln, Maries, Phelps and Washington counties. Karen has lived in the St. Louis area for over 22 years, in Eureka, St Clair and now Washington. She trained with Willard Luecker and got her Certified General Appraiser’s license in 2007. She has been married for 40 years to Jim and has 3 children, all married and 12 grandkids. Karen and Jim bought Landmark from Mary Lou and Willard Luecker in 2007. Karen loves the Washington small town atmosphere. She belongs to the Washington Optimist Club and runs at the waffle and corn stand during the Town and Country Fair each year. Currently the office is in Karen’s home at 1601 W 5th Street in Washington, just north of West Elementary School. 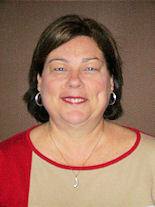 Karen enjoys being an appraiser, meeting and helping people in the Franklin County area. 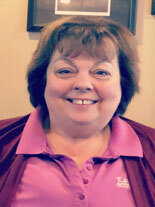 She has done many residential, estate, and commercial appraisals along with some MODOT work in the area and looks forward to working for many more years in the area. Mallory received her Associate’s Degree from St. Louis Community College, and her Bachelor’s Degree from Southeast Missouri State University. 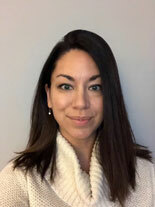 She has worked in the appraisal industry for a combined four years and is working towards her Certified General Appraiser License. Mallory has lived in west St. Louis County and Franklin County the majority of her life. She currently resides in Ellisville, MO with her husband, Dan and two daughters, Isabelle and Natalie. 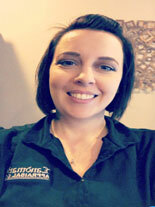 Hi my name is Brandy Wagener, I have been with Landmark Appraisal Co. for just over 8 years now. I started as the receptionist in March 2010 and in January 2013 I decided to become a trainee, started doing appraisals myself. I have attended multiple appraiser classes and I’m currently going to school to obtain my bachelor’s degree, so I can become a Certified Residential Appraiser. I find this occupation to be very interesting, I enjoy that our time is split between office time and being out in the field. I have two children, a daughter who is 13 named Bailey and a son who is 10 named Brayden. We currently live in Eureka, with our two cats and one dog. We enjoy doing things together like swimming, hikes, walking through creeks, playing Nintendo and watching movies. Shery has lived in the St Louis area for most of her life. She was a retail manager for over 20 years for Borders Bookstore. She started working part time at Landmark in 2013 and became the full-time office manager in May 2015. Sherry lives in Eureka and has three children and 8 grandchildren. Sherry enjoys talking to customers, going to yard and antique sales, flea markets, traveling and reading. She schedules all Landmark appointments, does data entry, sets up all the files, and keeps the office running smoothly. Hers will be the cheerful voice you hear when you call Landmark. Copyright © 2010 - 2016, Landmark Appraisal Co. Site by Net Engineers, Inc.